More passengers have been flying this year, with fewer complaints, according to the DOT. Complaints against airlines plummeted this year even though more people are flying, according to a government report on Wednesday. Passenger complaints dropped by 14% to 10,439 in the first nine months of this year, according to the U.S. Department of Transportation. That number represents complaints against U.S.-based airlines and also against foreign airlines that travel to and from the U.S.
During that same period, the total number of passengers edged up 3% for the top 16 U.S. airlines, which according to the DOT represent 90% of all trips. The biggest improvement came from a 30% drop in complaints about reservation and ticketing problems. That drop was due to a big improvement at United Airlines, which had service problems related to its merger with Continental Airlines in early 2012. Southwest Airlines (LUV) had the best record. There were only 292 complaints lodged against it during the first nine months of this year, when it had more than 86 million passengers. The airlines with the next lowest rate of complaints were Alaska Airlines, Delta Air Lines (DAL) and JetBlue Airways (JBLU). "As we transition to [become] an ultra low cost carrier, we have seen complaints from some customers as they adjust to our new policies," Frontier spokeswoman Kate O'Malley said in an email to CNNMoney. A United spokesperson said the airline is "investing significantly to improve our customers' experiences." The DOT tracked an assortment of complaint categories ranging from flight problems to fares, refunds, baggage, customer service, disability, advertising, discrimination and issues relating to animals. 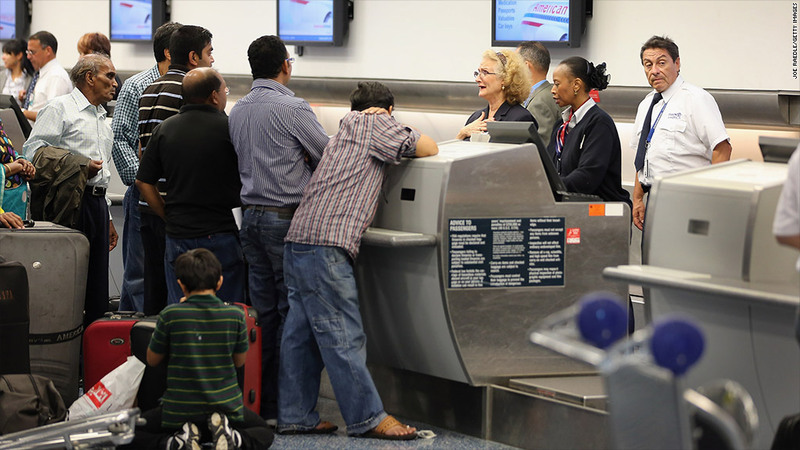 The highest number of complaints pertained to flight problems and customer service. -- CNNMoney's Chris Isidore contributed to this story.